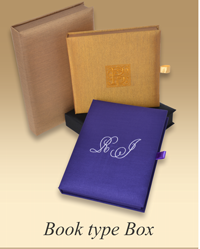 Thai Silk Boxes can be your ultimate choice for making your celebrations memorable. Are you looking to send out artistic invites to your well-wishers for your weddings? 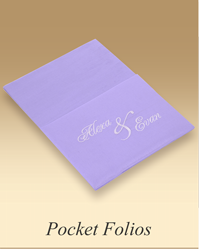 We offer wedding invitations designed with silk boxes, which are further embellished with diamante buckles, to add elegance and style to your invites. 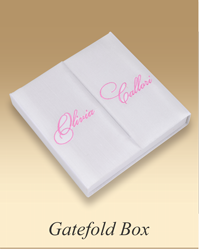 For each occasion related to your wedding, be it the bridal shower or the engagement, you can have customized, invitations handwritten in elegant script. The invitation box is then beautifully wrapped in silk ribbons and buckled together to be presented to the invitees’ to your wedding. Dazzle your guests with invitations which have a touch of luxury and taste while being absolutely unique. 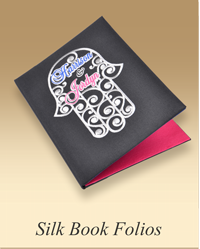 Your guests will feel honored with a personalized invitation, which is made out of finest silk and handcrafted with beautiful embroidery. We give you a wide choice of colors for these handcrafted silk boxes that have the names of the bride and the groom skillfully embroidered on them and can be further enhanced with engraved or etched designs in silken thread. For every event, specially embellished folding cards are created in standard sizes and colors with font types and designes selected by you. You will be surprised at our prices, which are competitive and provide you excellent craftsmanship so you have one thing less to worry about! Those looking for something special on their weddings can have custom made designs with ribbons and fasteners placed on their silk boxes. You can check out our various color options available online to select combinations that your stunning designs.